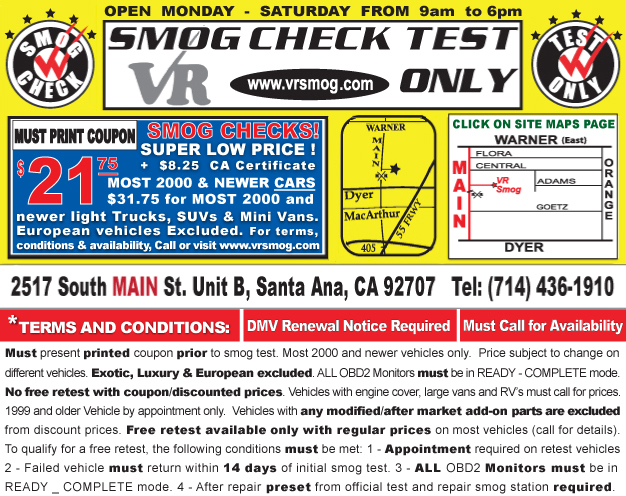 VR Smog Check test only offers the lowest price smog check in Santa Ana CA on most cars. Special all time smog discounts available for students, senior citizen, military and fleet vehicles. Most affordable smog check price at Santa Ana CA. 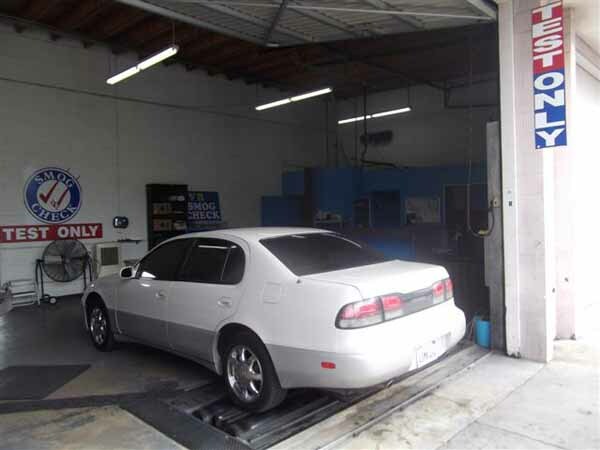 Cheap smog check in Santa Ana- cheapest smog test in Orange County, California. We are located in Santa Ana, County of Orange near Irvine, Orange, Tustin, Costa Mesa, and Newport Beach. 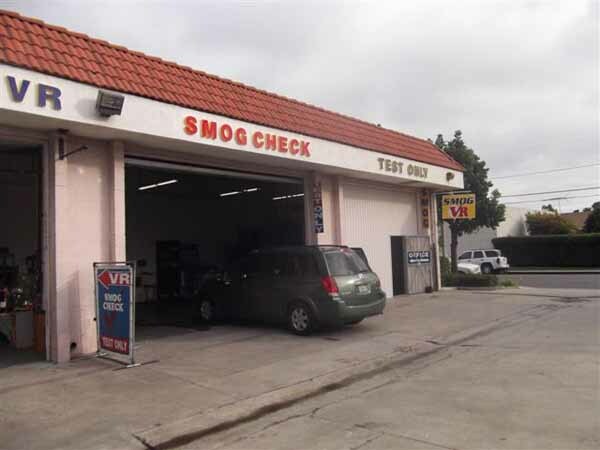 top smog check Santa Ana. DMV smog checks. Regular prices/OR additional cost applies to STAR smog check, Vehicles with Aftermarket Intake OR Exhaust systems, Luxury and European vehicles, Vans, RV's, Diesel, Hybrid, 1999 &older Vehicles. NO coupon prices for vehicles with Incomplete Monitor(s) OR trouble code(s). FREE electronic smog certificate transfer to DMV.